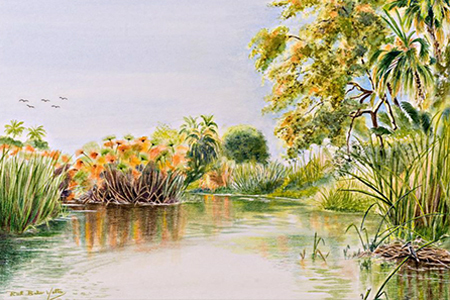 ART OF THE NATURAL WORLD BY AWARD WINNING ARTIST. 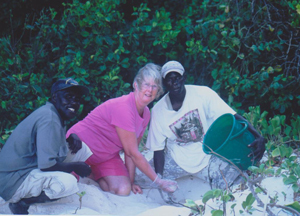 Specializing in African wildlife, Birds and the drama of nature. 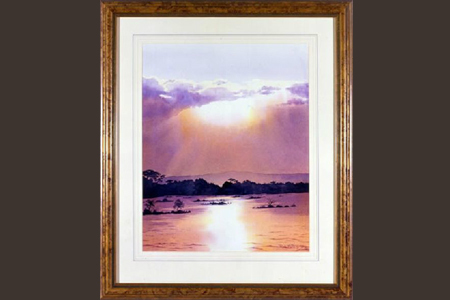 Share with me the beauty and drama of the natural world, the inspiration for all my work. 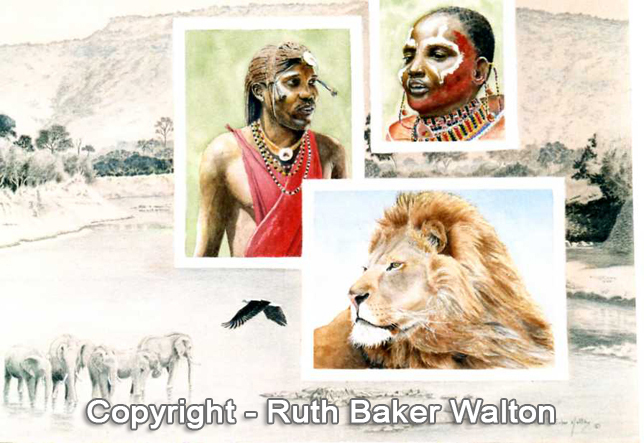 Enjoy my Safari Adventures and through the pages of my "Gallery" follow my personal journey of artistic achievements with some of the interesting people I have met along the way. What miracle of Nature enables birds to fly? With grace and effortless ease they soar into the sky. Masters of the skies in a way we cannot share. Enduring many dangers and overcoming many trials. Across the Himalayas, inhospitable, cold terrains. Complexity, diversity describes the world of birds. But the Barn Owl’s wings are silent when he goes out to feed. While others probe the waters edge to catch a tasty dish. And the camouflage of feathers for some is a protective illusion. Relying on their speed to run ‘til dangers out of sight. Various, ingenious the wonderful world of birds. And iridescent feathers to please and dazzle our eyes. Birds inhabit all these lands to hunt and breed and fly. Without the song of birds how empty life would be. Enunciate and celebrate the wonderful language of birds. Exploring the Beauty of Nature in Picture and Verse. 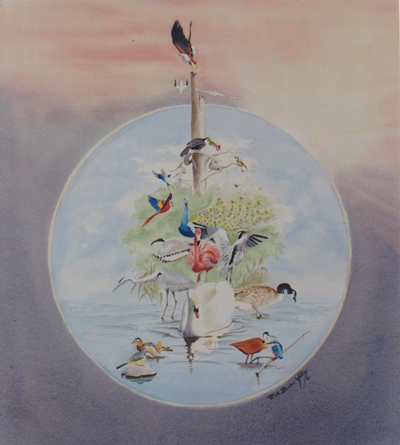 The 'Forward' has been written by John Sparks, former BBC Wildlife Producer and the book contains 30 nature inspired poems all illustrated by my paintings and/or photographs. 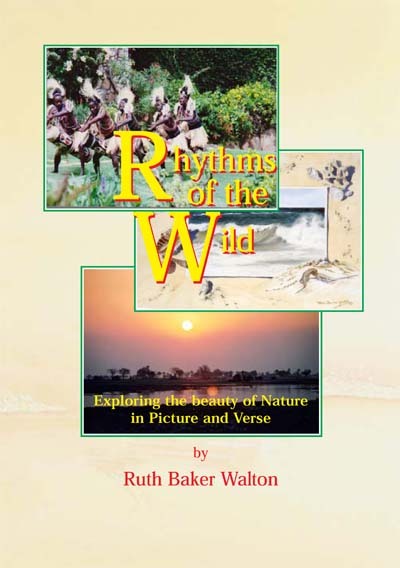 'Rhythms of the Wild' can be ordered directly from me at a cost of £9.95 plus P&P. Please quote ISBN 978-1-901098-6 on ordering. 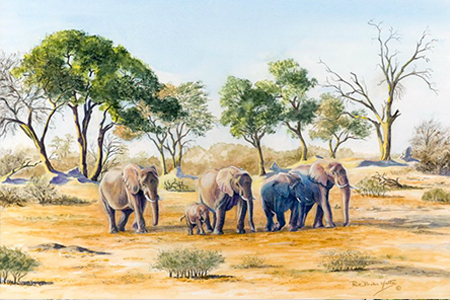 The release of Safari Adventures Diary complete with illustrations. 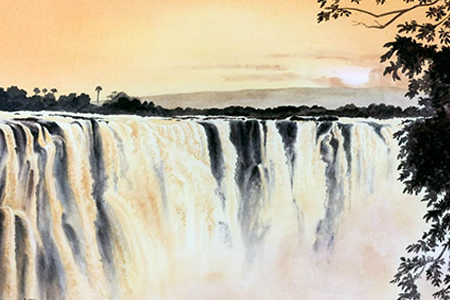 - A Brush with Africa and many other titles. For a complete schedule and further details please go to About Ruth - Illustrated Talks. 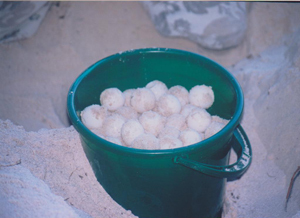 During a recent visit to Kenya I was privileged to help re-locate a Green Turtles nest with 139 eggs which have since successful hatched. 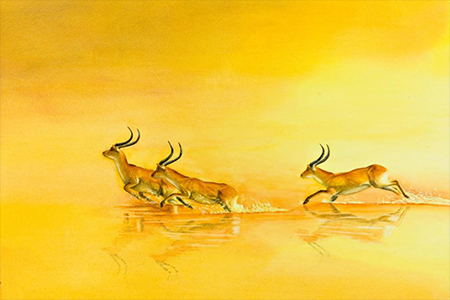 The Christopher Parsons Award for Artistic Excellence is The Wildlife Art Society's most prestigious award presented annual for a portfolio of four specific paintings. These must include a Portrait, Wildlife Habitat, Animal Behaviour and Artist Choice, all of which must be linked by a common theme. 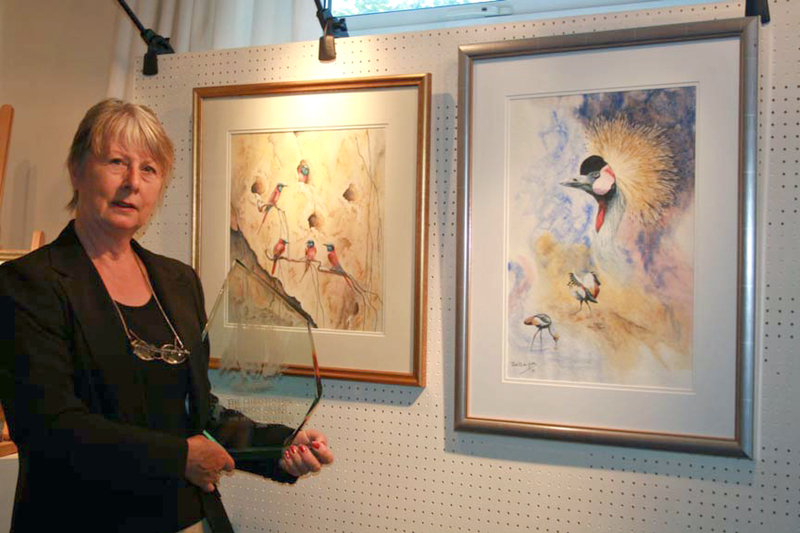 In 2008, Ruth was presented with the award for a portfolio entitled "It's a Bird's Life". 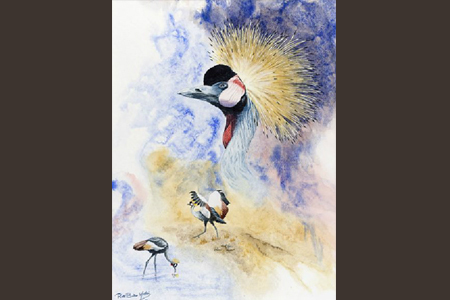 Two of these paintings can be viewed in the Originals Gallery entitled "Crowned Crane Portrait" and "Nesting Bee-eaters".